There are certain people you can get on the nerves of and don’t really have to worry about any sort of retaliation. People who fall into this category are often family members, like Aunt Susan, who you would always hide behind the door to scare when she walked into the house for Thanksgiving dinner. Fortunately for entertainment sake, there are also people out there who see revenge as a bloodsport and pride themselves on the motto “hit me, I’ll hit you twice as hard.” These pictures show what can happen when you tick off the wrong person, and they’re straight up hilarious. Wait until you see what happened with one girl who received an unexpected tattoo. 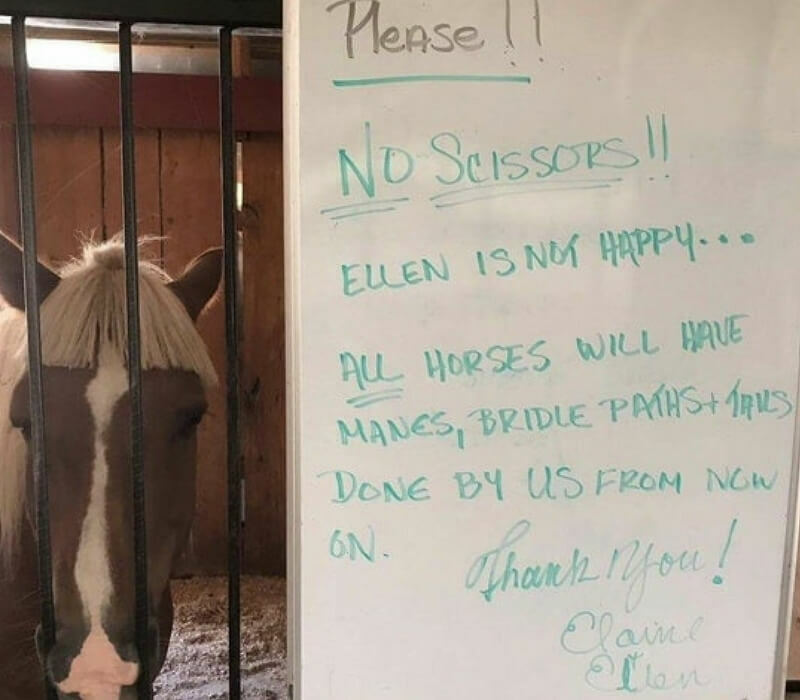 After a man came over and cut this horse’s hair without permission, the barn had to put up this sign. This horse doesn’t look happy about its new flow, and we can’t blame it. This is the closest thing to giving a horse a bowl cut as you can possibly come. Bowl cuts aren’t in, and never will be again — sorry 90’s babies.